Please use the form to leave a comment and/or request to be added to our mailing list. Under Florida law, email addresses are public records. If you do not want your email address released in response to a public records request, do not send electronic mail to this entity.  Instead, contact FDOT project manager, Marlon Bizerra, P.E., at the phone number or mailing address listed above. Please add me to the project mailing list.